I enjoyed doing this post last year that I thought I'd share my favorites from 2012! This year has blessed me with so many crafty opportunities.....I know I wouldn't have made it this far without all of you! Thank you so much! Well, that proved harder than I thought! What was more fun......was to look back at what card styles I make. I'm not any one style I've realized. But that's ok. I've created what makes me happy! Here's to a happy healthy New Year everyone!!! I hope this next year brings everyone some laughter and joy!!! Some fabulous news.....I am now designing for Timeless Twine! No secret.....twine is so much fun to work with and I love it! So, here's to an awesome year with TWINE! Thank you so much Stacy for inviting me to be a part of your team! This month's goodies were sent by Sharron and you must go check out her blog: On Papillion Wings! This month was some gorgeous color and retro type patterns! This is where I went with my designs too! Just look at what Sharron sent this month! This first card is my favorite! Don't you just love when an idea hits and just falls together? Well, this is how this card was born! 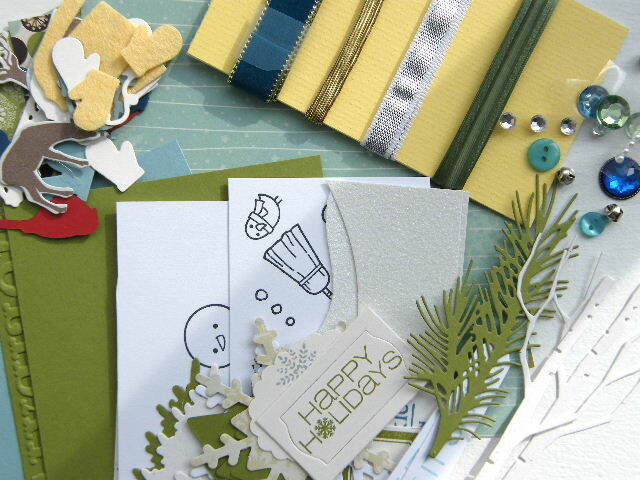 I fell in LOVE with that snowflake paper and paired it with the Joy die cut and snowflake from Wplus9. The card shape is a Spellbinder die of my own: Wonky Rectangles. My second card was one that while I was trying to figure out how to use this snowflake embossed panel (LOVE btw) Sharron sent, these die cuts were there together and walaa!! Look at that funky pattern paper! Ah, the holiday is over and now I already have 3 cards for next year.....SCORE! Let's go see what the rest of the 12 Kits girls have for you this month! 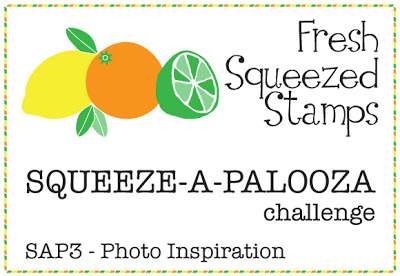 Quick post here to share my card for the Squeeze-A-Palooza using Fresh Squeezed Stamps! I still don't have many so I'm using their FREE digi image again this month! My card using this awesome woodgrain paper........I'll have to post the source a bit later as I'm writing this and should be in bed for work! There were 3 inspiration photos but I chose this one with the glittery roof and added a bit of color! Here's the thing.........please go VOTE for me HERE. As I could win a stamp set! I just couldn't let this PTI Blog Hop go by without playing along. 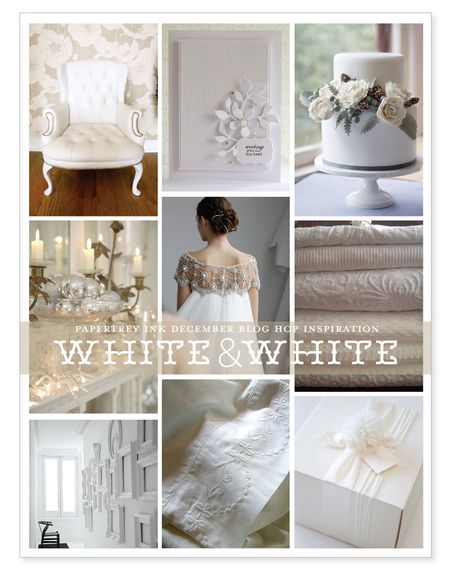 It is one of my favorite kind of cards to create......WHITE on WHITE! The tricky part to this is the photography! Now while I had big intentions of getting linked up earlier, it just didn't happen. We spent the evening with some great friends having dinner for our son's 11th birthday! We had a wonderful Christmas despite sickness in our house over Christmas Eve and into Christmas. No matter what, even though we weren't feeling the best, it was best spent with family! Hope you all had a wonderful holiday! And I want to wish my awesome sweet boy a very happy birthday! Love you to pieces Brett! They are going to the Fiesta Bowl!!! Have a blast with dad! Just stopping in today to wish everyone a very Merry Christmas! I've been waiting a long time to post this card.......it was my first publication in a LONG time. You may have seen it in the current issue of Paper Crafts Holiday Cards & More Volume 7. This card was a total last minute submission of several and I was so tickled they picked it up! I have great memories of my kids in this photo from our vacation and to see it in print makes me so incredibly happy! Hello everyone! I'm here with Day 17 of Tangled up in Christmas! 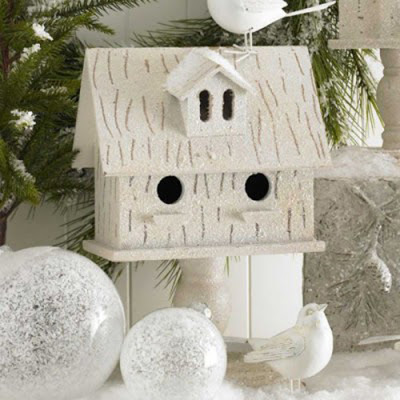 Here I've used those tiny snowflake stamps from Santa's Notes to stamp a bag topper. I adorned the topper with a baker's twine bow! Easy peasy! Hi everyone! I'm here with a festive Market Street Stamps card using a fabulous set for paper piecing.........Ornaments by DoBea Alberts. I love this set....it's HUGE and I like the size of the ornaments. The hand-drawn look is just so fun. I didn't mention the sentiments in this set too. 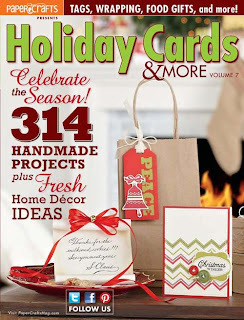 Big that they can be the center of attention on your card or a beautiful compliment to your focal point. Here I've used the sentiment, Peace & Joy, and heat embossed it in gold. 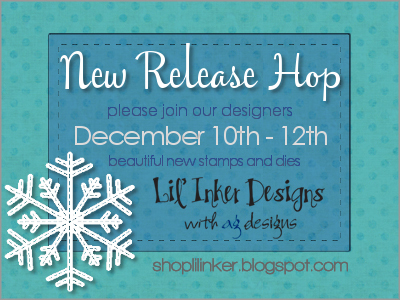 Lil' Inker Designs Release Day! Welcome back everyone! 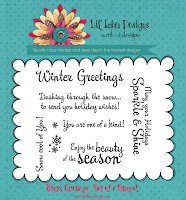 It's the final day of inspiration with the new products available now from Lil' Inker Designs! You should have arrived here from the awesome Emily Leiphart's blog. If not, please start over at the Lil' Inker Designs blog to get started on your way! Your next stop is my good friend, Jen Carter! 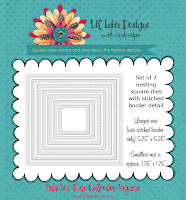 Well, I hope you have enjoyed the new goodies that Lil' Inker Designs has released this week! 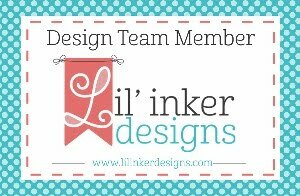 Remember the blog hop and commenting......the more you comment, the more chances you have at winning a GC to the Lil' Inker Store! 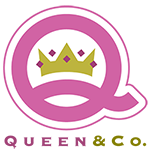 Your next stop is my good friend, Jen Carter's blog. 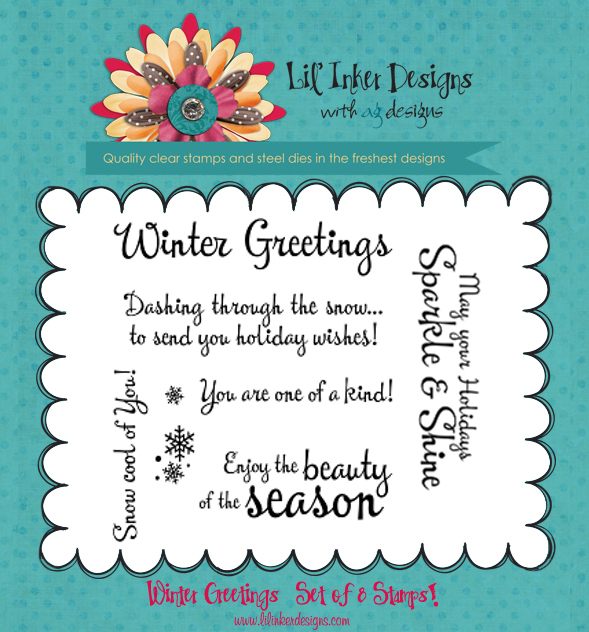 Welcome to the Lil' Inker Designs December Release Blog Hop! You should have arrived here from Alyssa Scritchfield's blog, if not please start back over at the Lil' Inker Designs blog for all the details of this release! This month we are sharing some of the most awesome snowflake dies on the market......Lil' Inker Snowflake Dies! Yes! That means they have the signature perforations....LOVE! 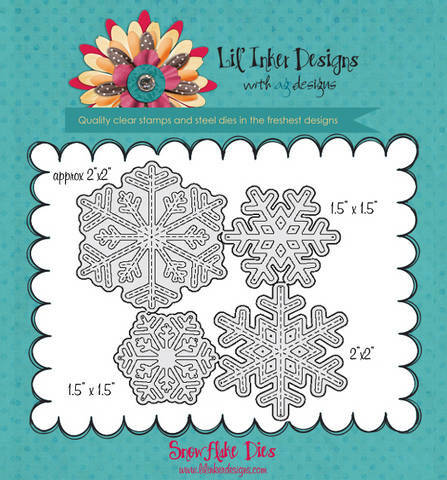 In this set, you get 2 perforated snowflakes and 2 non perforated snowflakes. As soon as I saw these dies, I wanted to make this card. Have you ever had a card just pop into your head and you HAVE to make it? Well, this is one of those cards! 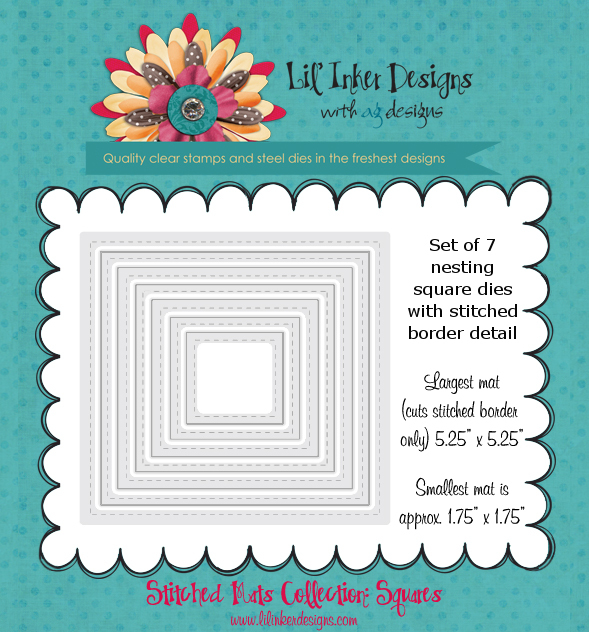 I paired the snowflake dies with the NEW Stitched Mats: Squares. Notice that paper? 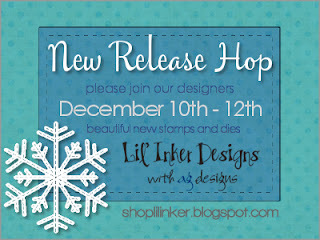 It goes perfect with the new products from Lil' Inker Designs this month! It's Winter Wishes by Echo Park (you can also get this in the LID store for a short time). 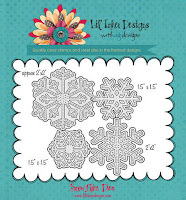 My snowflakes were cut out of a heavy glittered cardstock and I had NO trouble removing my snowflakes in one piece! So intricate and truly cuts effortlessly! 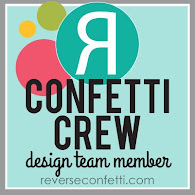 Now it's Blog Hop time and your next stop is my good friend, Jen Carter.......Let's go see what she's made to blow us away! Remember there is a chance at a GC to the Lil' Inker Designs store so the more you hop and leave comments, the better your chance at winning! We'll see you back here tomorrow for the entire team's creations with this month's new goodies! 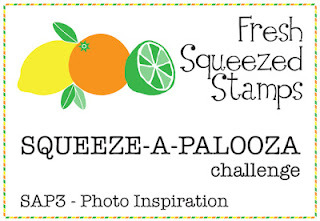 Market Street Stamps: Block Party!